As we approach the 15th anniversary of the brutal murder of gay student Matthew Shepard in Laramie, Wyoming, The Laramie Project at Lyric Arts is a great example of how theater has a way of tackling tough subject matter. In the days following the beating of Matthew Shepard in October 1998 Moises Kaufman and members of the Tectonic Theater Project went to Laramie and conducted over 200 interviews with the citizens of Laramie. While media from around the country and eventually the world descended on Laramie covering this horrific murder, Kaufman and his company gave a voice to the those who knew Matthew personally during his life or were deeply touched by his death. They listened without judgement and told their stories of Matthew, the events surrounding his death and of life in Laramie. The Laramie Project is the result of over 200 interviews, news reports and journal entries of the Tectonic Theater Project members. Told in a series of monologues with minimal interaction between the cast of twelve. The cast brings to life over sixty members of the city of Laramie as they are given the opportunity to tell their story. To tell how the death of Matthew Shepard has affected them personally. Through the recounts of the citizens we see how Laramie is a typical American town. A typical college town thanks to the presence of the University of Wyoming. It doesn’t take long to realize this crime could have happened in any town in America. On any college campus. The Laramie Project doesn’t offer answers or reasons why this senseless tragedy happened, but it offers the town an opportunity to openly discuss the events and attempt to heal. It offers us the opportunity to go beyond the headlines and discover who Matthew really was and how to prevent this from happening again. Lyric Arts’ production is beautifully directed by Robert Neu and is a spectacular and touching tribute to the life and legacy of Matthew Shepard and the people of Laramie. Be prepared to shed a few tears, especially during the candlelight vigil following the last monologue. I highly recommend making the drive to Anoka to see this production. It is worth the drive. 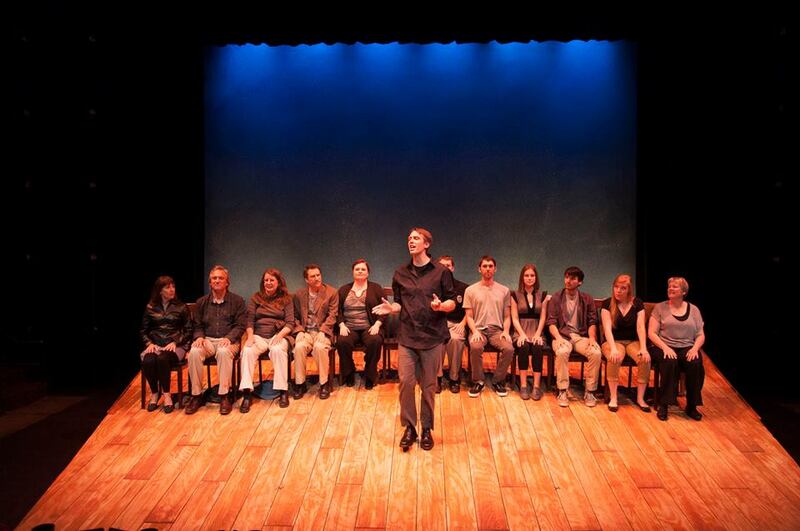 The Laramie Project runs through September 22 at Lyric Arts in Anoka. hi erin. i saw laramie project opening night and i loved it too, definitely the best thing i’ve seen at lyric. i’m glad they’re getting lots of great press, they deserve it! maybe i’ll see you at the ivey’s!